For many entrepreneurs, the disadvantages of a limited liability company do not outweigh the benefits of this method of organizing a business. A limited liability company, usually referred to as an LLC, offers an alternative between the complexity and expense of forming a full corporation and the simplicity and exposure of a partnership or operating as a sole proprietor. To understand the disadvantages, it is important to know what an LLC is and what benefits it offers and then to put the drawbacks in perspective. A limited liability company, which many refer to as a limited liability corporation, is a legal entity through which an individual or group of individuals can own assets or an enterprise. LLCs can be formed in all 50 states and the District of Columbia. The structure offers a variety of advantages. First, it is far simpler to set up than a corporation, yet it offers protection from liability in much the same way. There are no limits on the number of members a limited liability company may have. Additionally, the paperwork requirements are far less as no corporate minutes are required. Further, most states allow flow-through taxation of profits, which means the LLC itself does not pay taxes on money made. Profits flow through the LLC directly to members who pay at their individual tax rates. While an LLC is simpler to establish than a corporation or a stock company, it is much more complex to set up than a partnership or a sole proprietorship, requiring both articles of organization and an operating agreement. Additionally, a corporation is considered legally never to terminate, but an LLC can be dissolved with the death or bankruptcy of a member and can result in remaining members' being stripped of the liability protection the LLC was formed to provide. Another LLC disadvantage centers on the options it affords members. Unlike a corporation, an LLC cannot go public and be converted to a tradable stock company, and it can be more difficult to raise capital as a result. While there can be tax savings as outlined below, a limited liability company can be more costly in two ways. First, members almost always face legal and filing fees that will exceed the fees required to set up a simple partnership. Also, a corporate structure usually allows the individual to avoid self-employment taxes, resulting in a lower overall non-income tax bill. While all states allow for the formation of limited liability companies, an LLC disadvantage is that not all states treat LLCs the same. For example, regarding taxation, most states allow flow-through of profits, but the District of Columbia does not. Some states charge a franchise tax, which is an annual assessment based on the value of the assets held by the LLC. Some charge higher renewal fees than others. There are areas of business--banking and farming among them--in which some states forbid LLCs from participating. And while LLCs are specifically designed to protect members from liability for debt, some states require LLC members to assume personal liability for debts anyway. The LLC concept can be a simpler way to gain the protections offered by a full corporation, but anyone forming one should be familiar with the particular requirements of the state in which it is formed and the disadvantages it has. 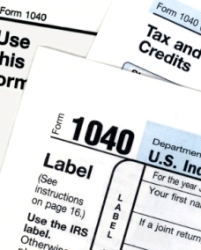 How do Charitable Donation Tax Deductions Work?